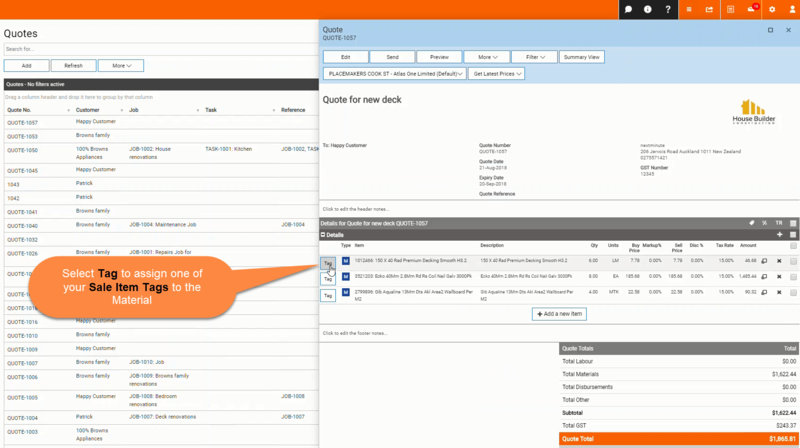 Create a Quote - PlaceMakers – Welcome to the NextMinute support and feedback centre. 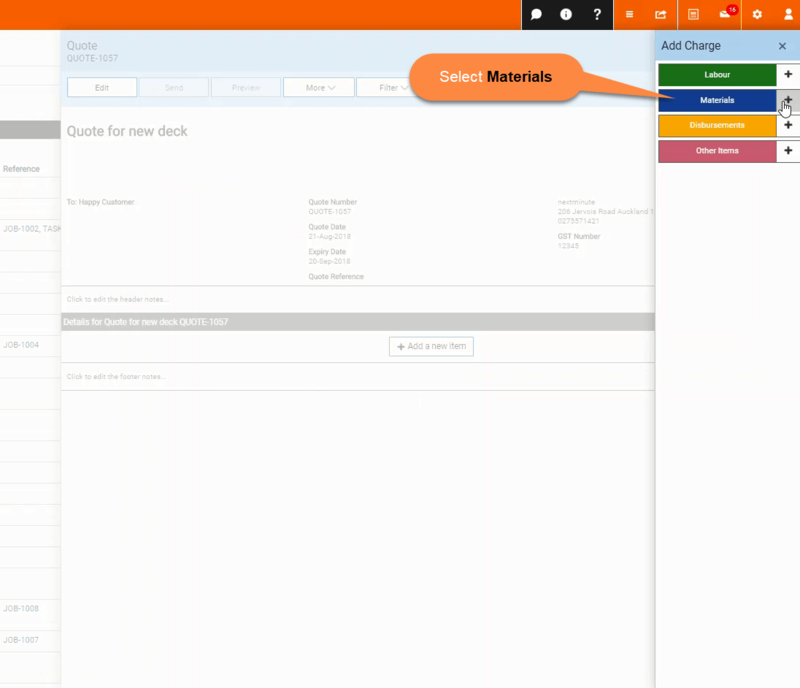 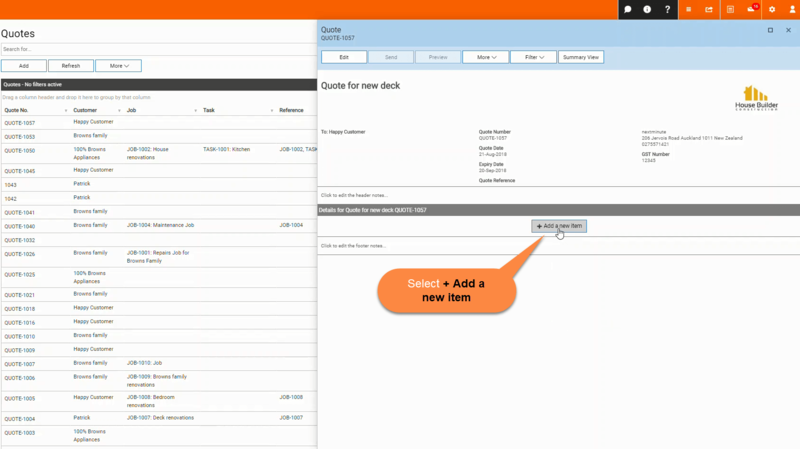 Easily Create a Quote finding Materials from PlaceMakers. 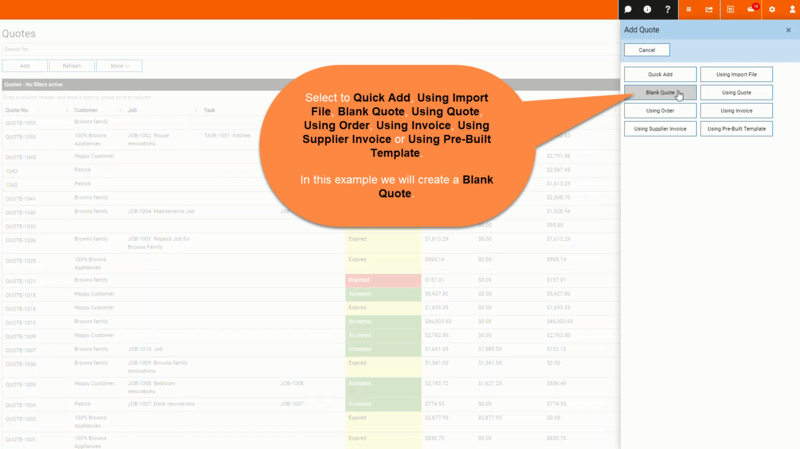 In this example we will be adding Materials to our Quote. 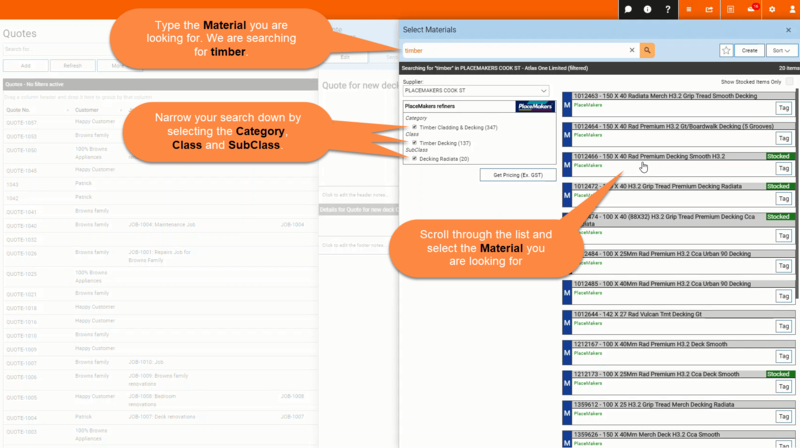 Search for materials by typing into the search bar and narrowing down your search by selecting category, Class and SubClass. 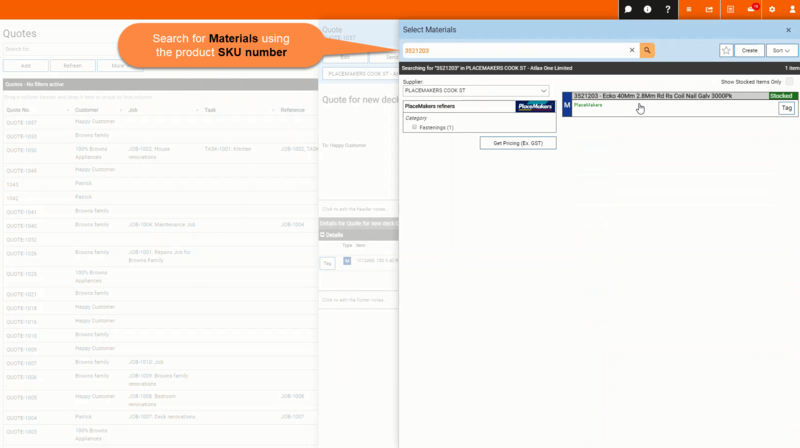 Select the material, enter the Quantity and Save. 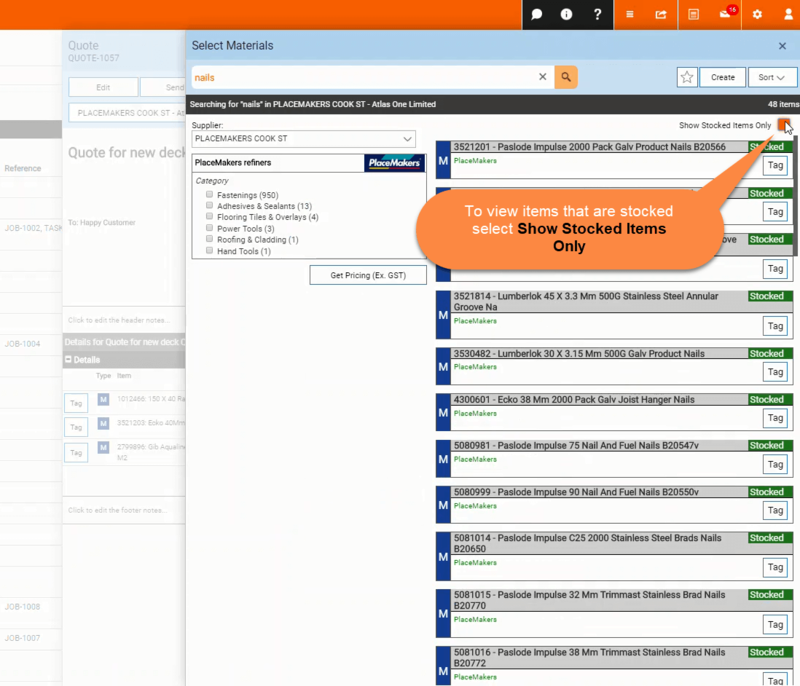 Search for specific Materials using the Product SKU. 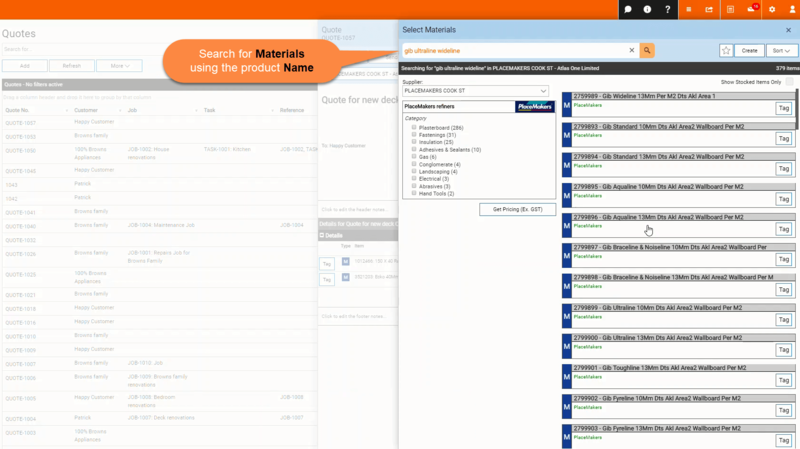 Search for Materials by entering the Product Name. 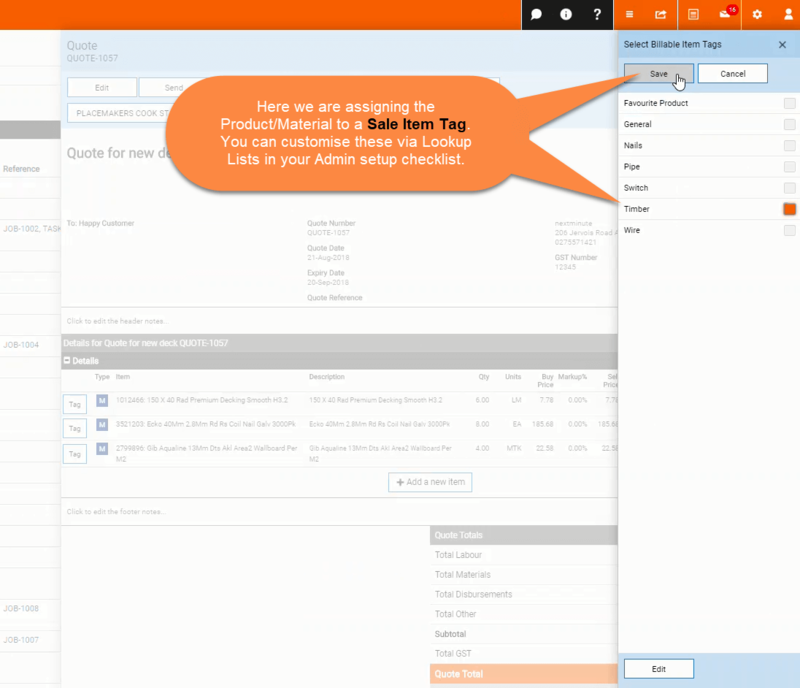 Search for items that are stocked at your branch. 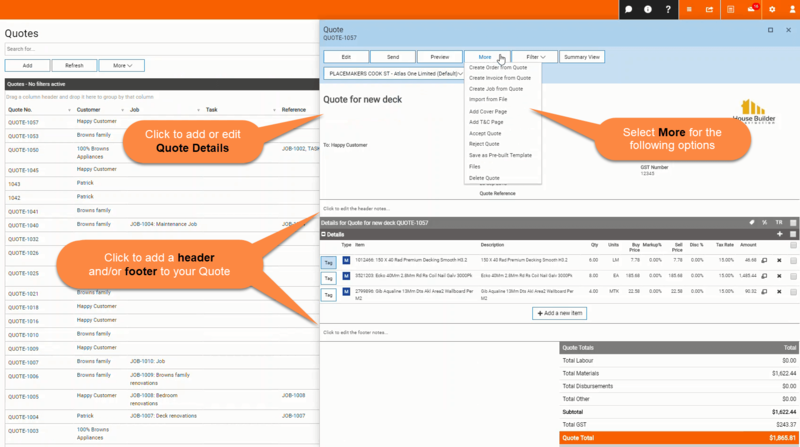 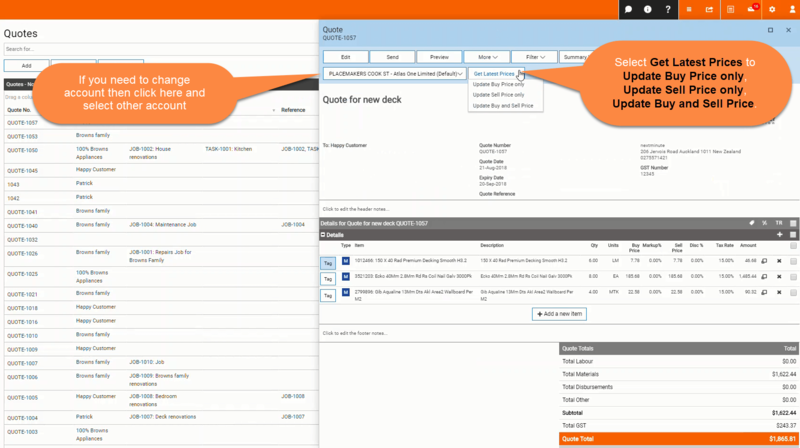 Edit the Quote and Quote Details, add a header and footer, Create an Invoice or Job from the Quote, and more. 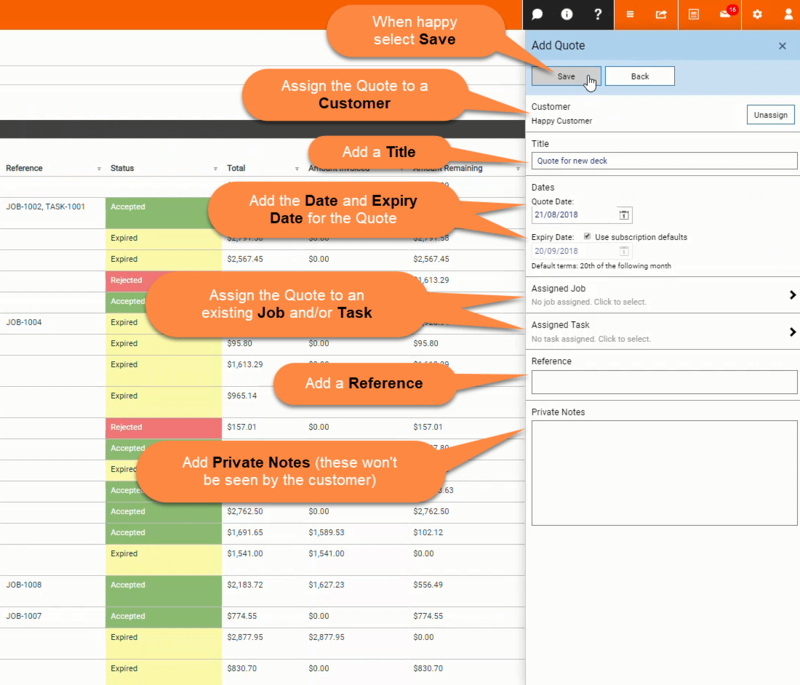 See Quote Template Overview for more information. 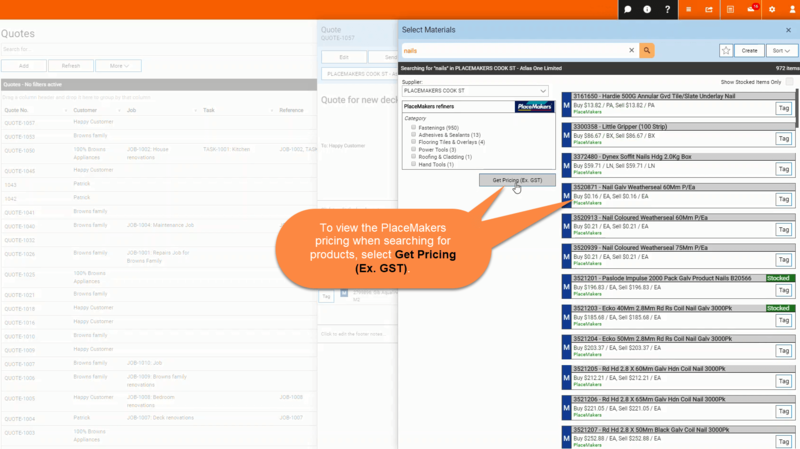 You can also change to another account and select to get your latest buy and sell prices.